10) India (120 MW) - One of the countries with fastest growing solar energy industry, India makes the top ten list for the solar power users of the world. A country of billion people has a very high energy demand. Located only 8 degrees above the equator, India gets plenty of sun each year. For these obvious reasons, solar was the smart choice for India to pursue. 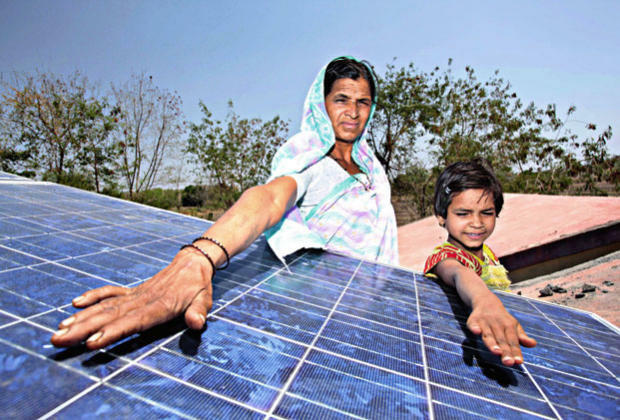 In July 2009, India unveiled a $19 billion plan, to produce 20 Giga Watts of solar power by 2020. 9) France (272 MW) - More than double the installed capacity of India is France. What helps france very much is their well designed Feed in Tariffs for Building Integrated PhotoVoltaic (BIPV). 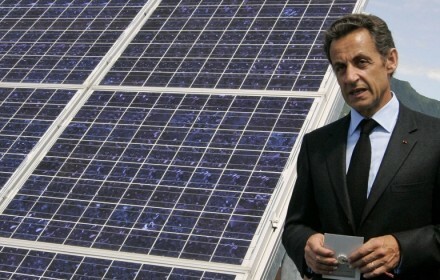 One important issue of concern in France is that although many MW of solar energy have been installed, a lot of them have not been connected to the grid. If this problem is resolved soon, France will be moving up on this list. 8) China (305) - Although China gets a lot of attention these days for its renewable energy push (not surprising), its mostly in the wind sector. What we forget is that China is the biggest producer of Solar panels and this comes in no surprise that they installed a ton of it in their own country. The government has taken a vow to change cities like Linfen, Yangquan and Datong, which are the most polluted cities in China. 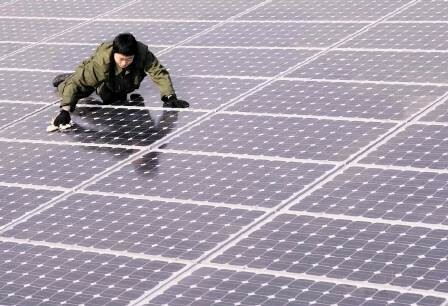 According to China’s national energy plan, it is expected to reach a total of 20 GW by 2020. We shall wait and see if the Chinese can keep up with the growing demands.Fun fact: China has already overtaken US in the overall renewable energy investor ranking. It has become the most attractive country to invest in for wind and solar energy. 7) Belgium (363 MW) - I would say Belgium was a surprise contender in this solar race. The Belgium government designed a well planned Feed in Tariffs. With a population of approximately 10.7 million, it has shown strong growth in its appetite for photovoltaics since the region’s government initiated its extremely appealing package deal in 2006. 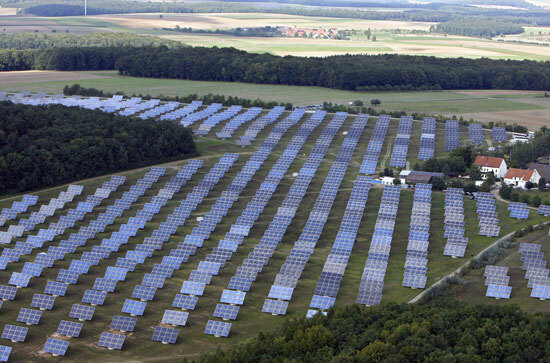 6) Czech Republic (465 MW) - This country installed the most amount of solar panels in 2009 next to Germany. There was a sudden boom in the solar market due to a generous Feed in Tarrifs by the government and local incentives. There are several US companies that are already investing in Czech solar market. 5) U.S (1650 MW) - Coming in at 5th place is the U.S. Solar market. I'm actually not so surprised by this result since U.S. government incentive is not very attractive and most of the major cities don't even have any policies or any plans towards going solar (one of those cities would be the fourth largest city in U.S., Houston). 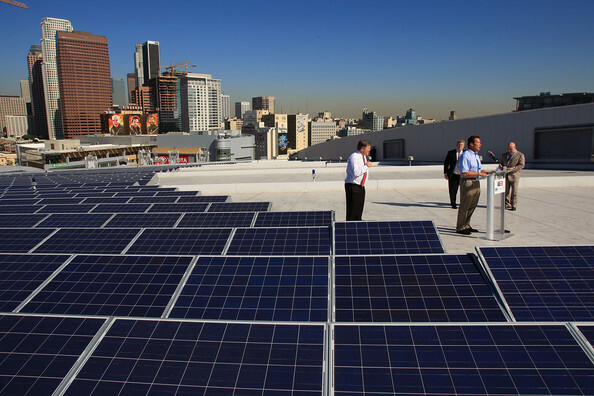 Most of the panels installed in U.S. are in California. The cap on the federal solar tax credit was lifted in 2009, promoting growth in this industry. 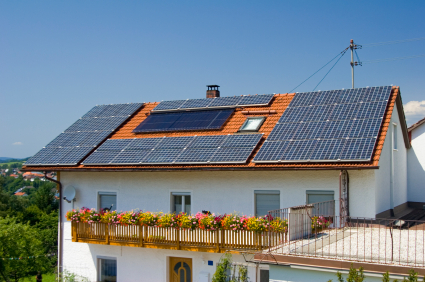 Despite the recent recession, the US market for residential solar panels doubled in 2009, and increased 37% from 2008. Hopefully, we will be moving forward on this list after the economy starts to ramp up a bit. 4) Japan (2633 MW) - What you see above is a flexible solar technology as an AIST conference in Tokyo, Japan. 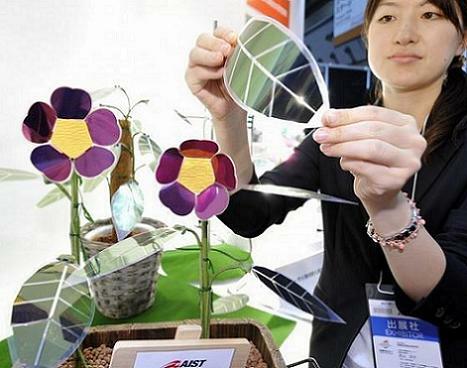 Can you imagine a garden full of these solar flowers and plants on the rooftops? Government residential PV programs, net-metering, high national solar energy goals to reach 28 GW by 2020 and 53 GW by 2030. On top of this, the support of local authorities and the private sector make Japan a world leader in this field. 80% of new homes in Japan will have solar power installed with it by the year 2030. Japan is one of the fastest growing countries in the solar market and i would not be surprised if it moves up to the top position in the next few years. 3) Spain (3386 MW) - Despite the fact that Spain was one of the countries that was hit with the economic crisis, it pushed forward on the renewable energy side to grab the third position. There was a delay in the new government subsidy programs towards the solar market in the first quarter of 2010. With expectations that both of these will improve in 2010, and considering its excellent sun irradiation and PV potential, Spain is expected to bump up its solar energy capacity again this year. 2) Italy (4000 MW) - Every two months, Italians install more solar power than California does in an entire year. (To put that in perspective, Italy is slightly smaller in land size than California, with a fairly similar population). 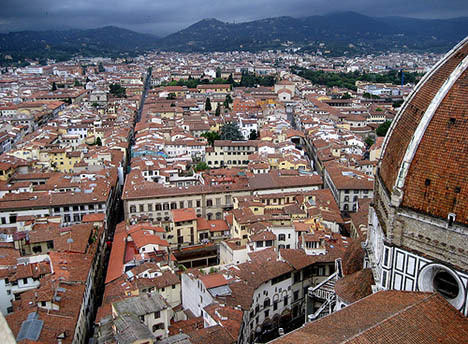 In the second quarter of 2010, Italy’s solar market grew by 127 percent over the previous quarter, according to research and consulting firm Solarbuzz.This success is due to a well managed FiT**, lots of government incentives, and of course plenty of sunshine. Going at this pace, I'm pretty sure that Italy has the potential to catch the top position. 1) Germany (9785 MW) - Germany is clearly the world leader and will be the world leader for years to come. No other countries even come close to the installed solar power to this country. Above is the picture of the Gut Erlasee solar farm in Germany which produces about 14,000 MW hour annually which is enough to power a town of about 9000 residents. With cities like Sonnenschiff (which produces 4 times the energy it consumes purely from solar power), Marburg and Freiburg (entire city is powered by solar energy), it is no surprise that Germany is the world leader and it plans to stick to this position for years to come. My opinion - Well there you have it, the top ten countries in the world that harness solar power. I think that other countries will be following this trend and i expect more countries to join this race. The reason Germany is the leader is mainly because of the people. They clearly took solar power to their heart and made a commitment to crate a change. An energy revolution has to come from within. Out of the many unique attributes of Desmex Solar System, Bicicleta Electrica remains an important one and is known more for its typical integration service features of all categories from a turnkey renewable energy to rest especially residential and commercial outlets to those applied for large scale roles. Get more idea about the projects or features from the initial evaluation stage until the end by logging on to desmexsolar.com where array of information is given and details are highlighted in the very comprehensive manner. The Paneles Solares Transparentes is dealt in a planned way so are the issues related to Energia Eolica for which effective mechanism is brought into use. This website gives comprehensive information about the services to avail besides rest innovative ideas you might seek. Equally are considered other aspects like the need and exploration of Energía Solar system through genuine installation processes. Unique features bring wonderful solution for Iluminacion Interior and for all operation and most notably its effective role to maximize system performance for Led or similar such roles for which unique operating system would be needed. Ultimate features keep them apart for the best application and for professional management. It doesn’t matter of what size the project is because Sistemas Termosolares has all required solutions needed. Solar System makes everything systematic and it is no more a tough task to evaluate the feasibility assessment for all types of activities from site installations to conducting extensive assessments for the feasibility aspect assessment for which best and authentic system application is recommended. 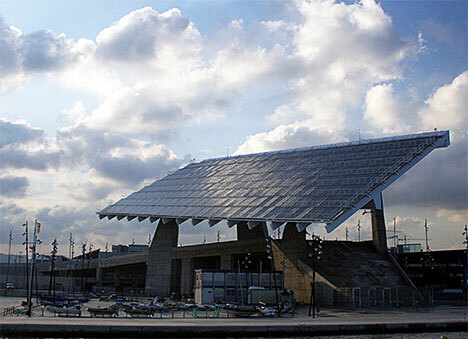 Use of Thermosolar is now a common trend for installation to building orientation to all kinds of roles for the mounting and maintaining interconnection standards. Equally is important maintaining network distances and to ensure that an existing energy infrastructure is brought into the right use. Nice Info! There are many solar panel dealers who are working on new technologies to get the improvement in their work. There is a chance you are qualified for a new solar energy program.